go see Vivi's cardboard town! Hey y'all, I have some fun news. I have a guest post up at hands on : as we grow today! I am super excited to share it with you and not at all ashamed to boast about it. I've mentioned previously that I'm not the crafty sort, but I am proud of how this craft project turned out. I've you've got a minute, go check it out and leave a comment letting me know what you think. 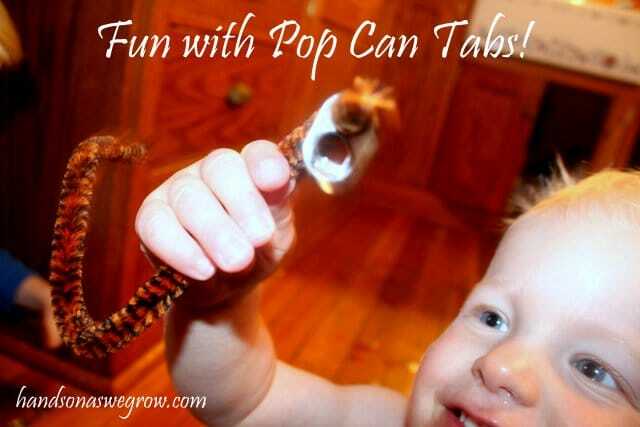 fun with pop can tabs! Today's post comes from Jamie over at hands on : as we grow. Be sure to read through to the bottom of the post to see her bio and link to her blog. She makes me miss Wisconsin the way she calls them "pop cans;" where I'm from--Atlanta--they are "coke cans," no matter what beverage they contain. Today's post comes from Marnie Craycroft. Be sure to read through to the bottom of the post to see her bio and link to her blog, Carrots are Orange. We fell in love with resist painting this past fall working on Letters then again for Valentine's Day. The best part about resist painting is that your kids get a great sensory experience and get to be messy! In the end, the result always seems to be beautiful. 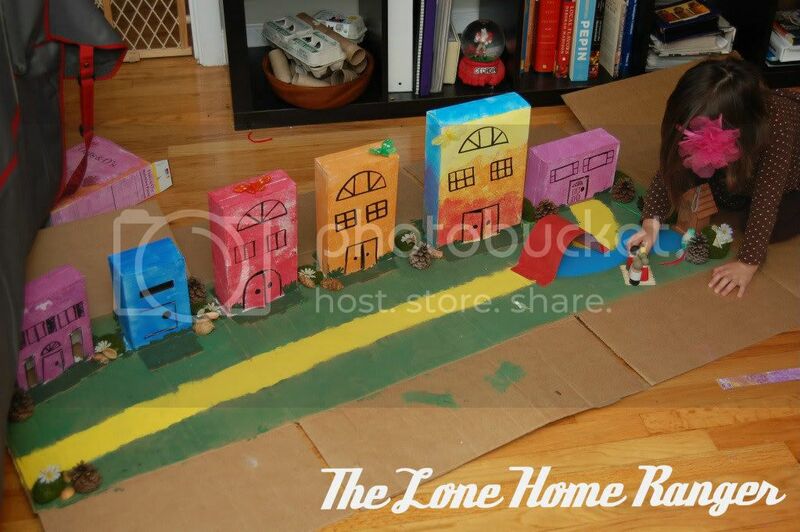 Here is how we created an Earth resist painting.